Post-human genome revelation observes the emergence of ‘Nutigenomics’ as one of the exciting scientific advancement influencing mankind around the world. Food or more precisely ‘nutrition’ has the major impact in defining the cause-response interaction between nutrient (diet) and human health. 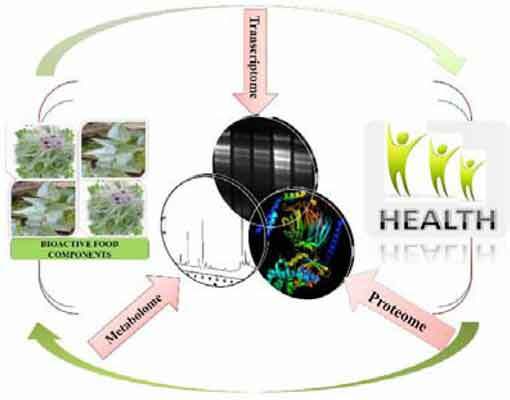 In addition to substantial understanding of nutrition-human-health interaction, bases of ‘nutrigenomic’ development foster on advent in transcriptomics, genomics, proteomics and metabolomics as well as insight into food as health supplement. Interaction of selected nutrient with associated genes in specific organ or tissue necessary to comprehend that how individual's genetic makeup (DNA transcribed into mRNA and then to proteins) respond to particular nutrient. It provided new opportunities to incorporate natural bioactive compounds into food for specific group of people with similar genotype. As inception of diabetes associated with change in gene expression of, not limited to, protein kinase B, insulin receptor, duodenal homeobox and glucokinase, thus, targeting such proteins by modifying or improving the nutritional availability or uptake may help to devise novel food, supplements, or nutraceuticals. In this article, various aspects of R&D in nutrigenomics are reviewed to ascertain its impact on human health, especially with lifestyle associated diseases. Cardiovascular, Diabetes, Ethics, Inflammation, Nutrient, Nutrigenomics, Protein. Department of Biotechnology, CSIR-Institute of Himalayan Bioresource Technology, 176 061, Palampur (HP), India.